Providing fittings for every type and size of pipe, in every configuration, for every application. Gajeske boasts a sizeable on-hand inventory of injection-molded and fabricated fittings as well as an array of polyethylene adapters and backing rings, bolts, and all related accessories. 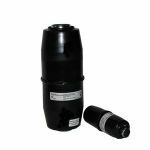 In addition, we carry a large selection of electrofusion fittings, mechanical fittings, and everything needed for any gas distribution project. 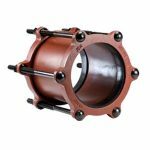 All Victaulic® Couplings are designed for use with HDPE pipe from SDR 7 to 17 and meet or exceed the pressure rating of the HDPE pipe.